Sales brochure card for the 1987 Yugo GV. 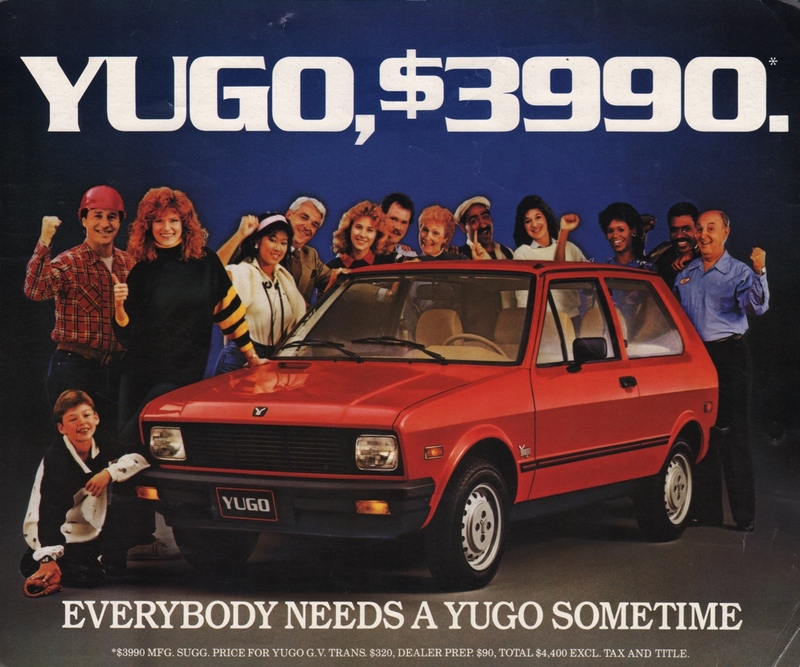 It says the Yugo is $3990 with $320 for automatic transmission, and $90 dealer prep. Under the hood is a 54hp 1.1L inline-4-cylinder engine. Exterior colors are listed as Flame Red, Adriatic Blue, Vanilla Beige, Snow White, Nugget Gold, and Crystal White. Brochures are presented for research use only. Company marks, emblems, and designs are trademarks and/or service marks of Yugo.